Valencia Vargas, S. (2015, January). Begelman vs. FolkRank. 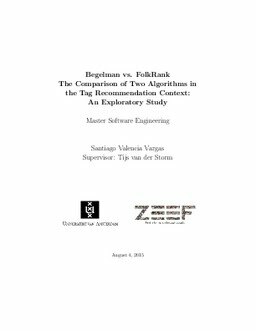 The Comparison of Two Algorithms in the Tag Recom- mendation Context: An Exploratory Study.